Q. Who should sign the MTA? A. We require the signature of the authorized representative of your institute, such as that of the Dean, Vice-chairman, or Head of the Intellectual Property Department. Furthermore, the principal investigator should sign the “Name of Scientist” field. Q. Do I have to mail the MTA? A. Please email us a PDF or fax a copy of the draft MTA for our initial review. If accepted, we will then ask you to send two originals by regular mail. Q. Can you accept a purchase order form from our institution? Q. How soon can I expect delivery? A. 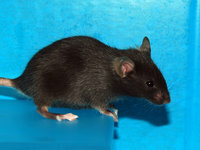 Expected delivery of the mice takes up to 1-3 months after receiving the necessary documents. Q. How soon can you send me the frozen embryos? A. Expected delivery takes up to 1 month. Q. We ordered the knockout mice from RIKEN BRC. Could you send the mice to our contract breeding facility? A. When you request to ship the mice to a contract breeding facility, not to your University/Institution, please first fill the shipping address in the order form and send it to RIKEN BRC. We will send you a modified MTA to send the mice to the third party. If you have already executed MTA with RIKEN BRC, we will send you an “Agreement regarding outsourcing of work on the BIOLOGICAL RESOURCE” to transfer the mice to a third party such as a contract breeding facility. Q. What is the cost of one mouse? A. A single mouse costs 12,400 JPY for a non-profit organization and 24,800 JPY for a profit organization. Q. What is the cost of a breeding pair? A. A breeding pair (one female and one male) costs 24,800 JPY for a non-profit organization and 49,600 JPY for a profit organization. Q. Who is the veterinarian and what is his contact information? Q. Which courier company do you use for shipment of mice? A. We use World Courier to ship our mice overseas via their door-to door delivery service. Q. Can you give me an idea of the shipping costs? A. It costs approximately 180,000 JPY for 1-2 boxes, but the exact cost depends on the weight, size, and destination of the package. The shipping costs are charged separately by World Courier. For more information, please contact World Courier directly. Q. Do you need my purchase order number before shipping? A. No, your purchase order number is not necessary. Q. Can I use a credit card to pay for the mice? We will email you a PDF copy of your invoice and the URL for instructions for credit card payment. Please click on the URL and follow the instructions to pay for the mice with your credit card. Q. My colleague in the next laboratory has already obtained KO mice from RIKEN BRC. May I use them in my research project? A. Please contact animal@brc.riken.jp. 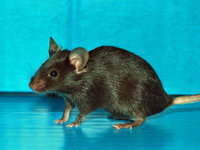 RIKEN BRC strongly recommends that you obtain the mice directly from our center to ensure quality. Q. Can you send me the genotyping protocol of the transgenic mice I ordered? Q. I purchased frozen embryos and received a dry shipper. I worried about the quality of the samples, because there seemed no liquid nitrogen in the bottom of the container. A. We use a pre-tested dry shipper which contains liquid nitrogen in a porous foam absorbent material lining inner wall of the container. The storage temperature in the central cavity remains below -150°C for more than a week with liquid nitrogen dry vapor. That is why you could not find any liquid (nitrogen) in the bottom of the container. Each container has validated history and is tested for the vapor evaporation rate prior to shipment at BRC. For our future improvement of our service and resource quality, please send us information on the recovery rates after thawing our samples toanimal@brc.riken.jp. A dry shipper is reusable and must be returned promptly. We really appreciate your kind cooperation.